ABERDEEN PROVING GROUND, Md. (May 5, 2014) -- Dismounted Soldiers carrying full battle gear are pushed to their physical limits. Soldiers often heft 100 pounds or more of essentials. 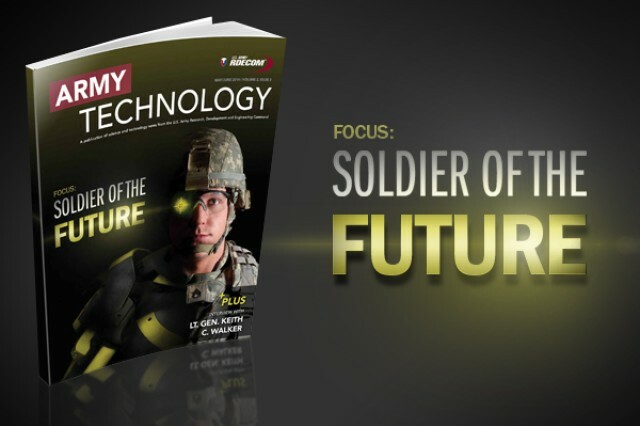 How the Soldier of the future maintains a decisive edge may lie in innovations developed by the Defense Advanced Research Projects Agency, better known as DARPA. "That load is a critical issue," said Lt. Col. Joe Hitt, who until recently was Warrior Web program manager. "In Warrior Web, we want to explore approaches which make that kind of load feel, in terms of the effort to carry it, as if its weight has been cut in half. That's the goal." 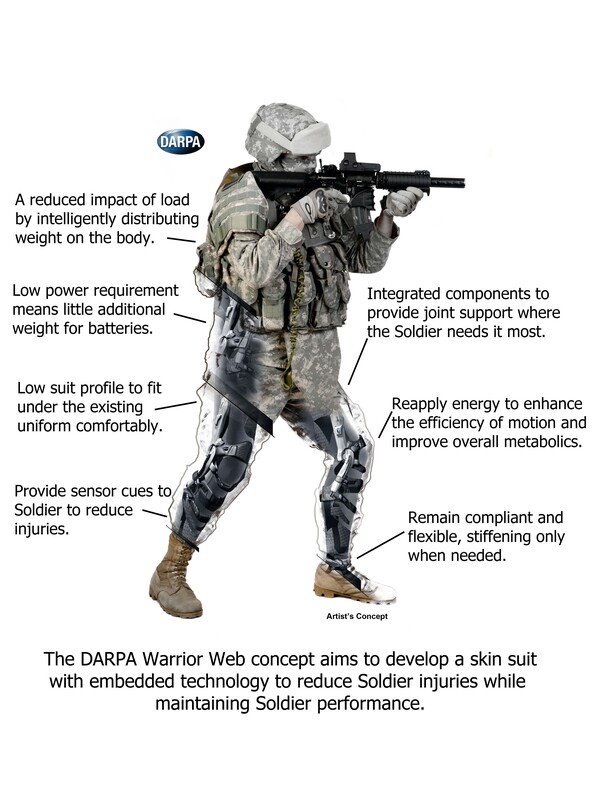 DARPA launched the Warrior Web program in September 2011, seeking to create a soft, lightweight undersuit to help reduce injuries and fatigue while improving mission performance. "The number one reason for discharge from the military in recent years is musculoskeletal injury," Hitt said. "Warrior Web is specifically being designed to address the key injuries at the ankle, knee, hip, lower back and shoulders." Warrior Web would protect injury-prone areas by stabilizing and reducing stresses on joints and promoting efficient and safe movement over a wide range of activities, he said. 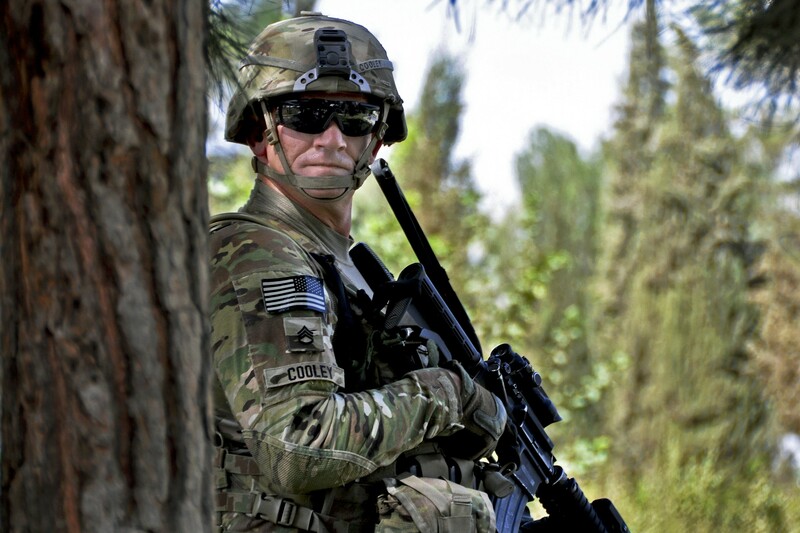 While protecting against injury, Warrior Web also seeks to make Soldiers into better performers by giving them the feeling of a lighter load and enhancing their existing physical capabilities. 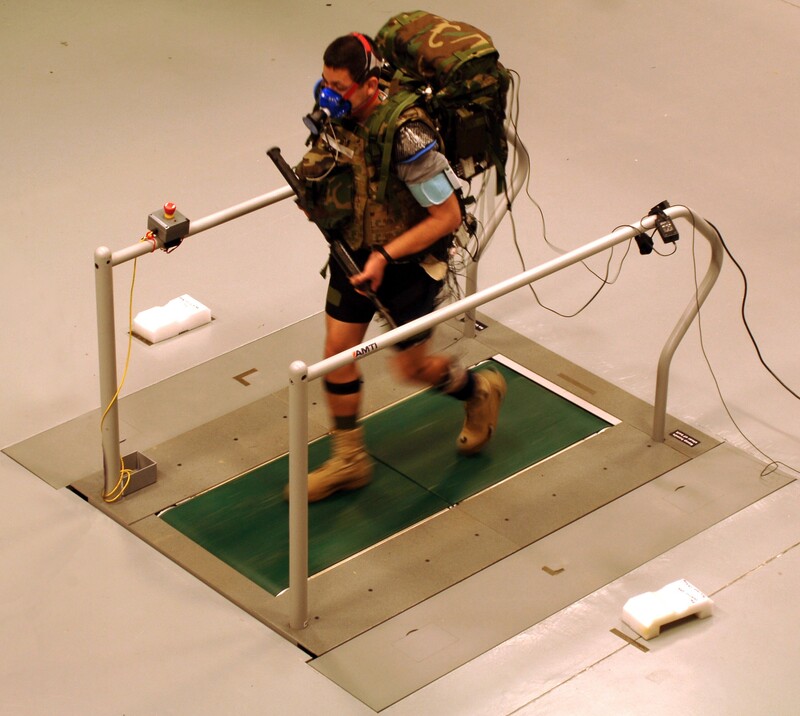 "We're assessing new technologies that could even allow a Soldier to run a four-minute mile," Hitt said. "For example, we have components such as motors and springs integrated into a suit which will augment the work performed by the muscles in the legs. This may be a pathway to enhancing performance." Such performance enhancement may sound like science fiction. 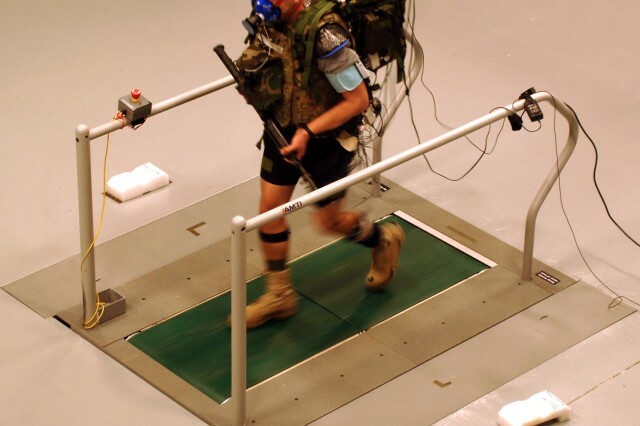 "The theory behind it is if you can provide enough force to the runner, you could probably have them do a four-minute mile," said Michael LaFiandra, chief of the Dismounted Warrior Branch at the U.S. Army Research Laboratory. "We're skeptical because we're researchers and it's part of our job to question everything. But, they're bringing the technology here. They want to demonstrate this four-minute mile concept and we're hopeful that they can do it." Wearable technologies are the newest buzz in the commercial tech world. Sensors can measure heartbeats, blood pressure and steps taken. This information is useful to an individual interested in trying to live a healthy, active lifestyle. However, the information may be critical to a small unit leader when Soldiers are networked together. A leader would be able to monitor health signs in real time to better evaluate situations and make good decisions. 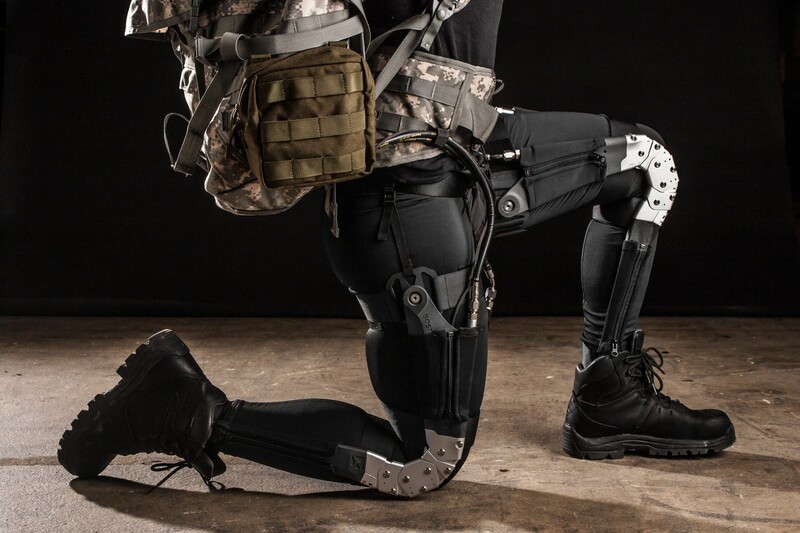 DARPA, along with scientists from the Army Research Laboratory Human Research and Engineering Directorate, or ARL-HRED, tested nine prototype Warrior Web systems on Soldiers over 21 weeks during the first phase of the program. "I think it has enormous potential," LaFiandra said. "When you look at the amount of load Soldiers are being asked to carry and the various types of terrain they're being asked to carry it over, they need some sort of assistance." The Army has looked at off-loading gear to a robotic asset or even precision airdrops as ways of reducing Soldier load. "Those methods will be effective to some extent," LaFiandra sad. "The reality still remains that Soldiers are going to be carrying a lot of weight. If we want them to be able to perform their mission and carry this weight, we need to do something to help them." The initial prototypes went through rigorous evaluation at the Soldier Performance and Equipment Advanced Research Facility at Aberdeen Proving Ground, Md. This facility features a state-of-the art bio-mechanics laboratory where researchers capture high-resolution, highly-controlled data. Immediately adjacent to lab, there is a two and a half mile cross-country course through the woods. "We can have Soldiers wearing the system walking on the treadmill, measuring how hard the foot hits the ground and how hard their muscles are working, and then have them immediately go outside and climb over stumps and downed trees and walk through water to their ankles if we want them to," LaFiandra said. "We're also developing ways of capturing more of the high-resolution laboratory data in that field environment." "I think this approach has contributed to our success because all of the performers knew that they would be undergoing independent testing by a very qualified team with an excellent facility," Hitt said. DARPA is also partnering with the Natick Soldier Research, Development and Engineering Center, or NSRDEC, and Natick Soldier Systems Center in Massachusetts. "They are one of our stakeholders," Hitt said. "They're part of our Warrior Web community, which will have about 30 different industry, academic organizations and government partners by this summer. They also actively participate by making sure that the technologies created by our performers integrate into existing Soldier systems." Hitt said ARL-HRED helps them to assess biomechanics and physiology while NSRDEC looks at the Warrior Web technology and makes sure it integrates with Soldier equipment such as body armor, communications gear and weapons systems. Last year, DARPA called on industry and academia for proposals to begin the second period of testing, or Task B. "We received an incredible response and were very fortunate to have a huge pool of very competitive proposals," Hitt said. "Come this summer, we'll announce who we've selected for Task B. I think everybody will be very excited about the teams we've selected." In the coming months, the team will explore additional wearable technologies not addressed in Task A. 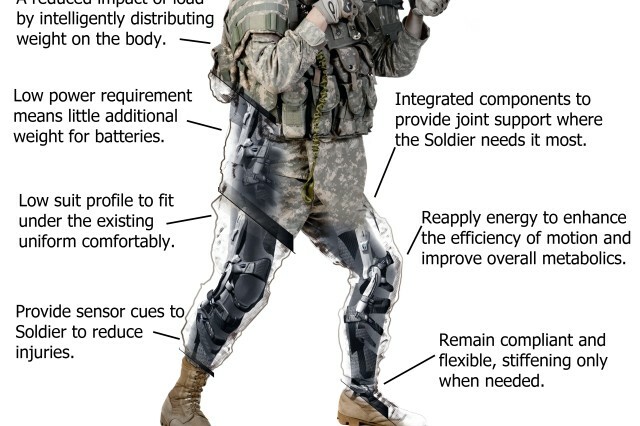 The goal will be to integrate "multiple mature component technologies into a system potentially wearable by 90 percent of the U.S. Army population, both male and female." In September, ARL-HRED researchers will begin intensive testing of the next generation of prototypes. "Every system will see six Soldiers over a course of three weeks," Hitt said. "ARL-HRED is responsible for that effort. If everything goes as it went last year, it's going to be an exciting event." DARPA officials said while they are sharing research and findings with the U.S. Special Operations Command, Warrior Web is not part of the Tactical Assault Light Operator Suit, or TALOS, currently under development. Warrior Web will soon get its final test. "Thirty months from today, we will outfit a squad with our suits and we will compete against a squad without them in activities such as the 12-mile rucksack march, marksmanship and the obstacle course," Hitt said. "Our vision is to significantly reduce the time it takes to do a rucksack march and then when you get onto the marksmanship course, you're almost as fresh as if you hadn't marched at all." The U.S. Army Research, Development and Engineering Command is a major subordinate command of the U.S. Army Materiel Command. AMC is the Army's premier provider of materiel readiness -- technology, acquisition support, materiel development, logistics power projection, and sustainment -- to the total force, across the spectrum of joint military operations. If a Soldier shoots it, drives it, flies it, wears it, eats it or communicates with it, AMC provides it.